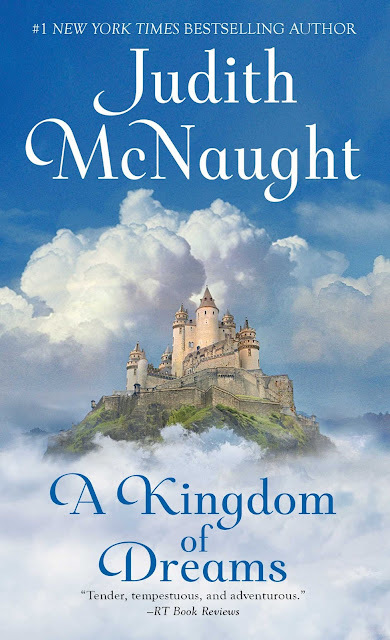 Bestselling author Judith McNaught has written a novel sure to continue the success of Something Wonderful. 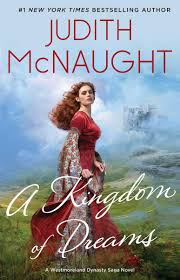 A Kingdom Of Dreams is the tender, tempestuous story of a feisty Scottish beauty and the fierce English warrior she defies--and desires! Abducted from her convent school, headstrong Jennifer Merrick does not easily surrender to Royce Westmoreland, Duke of Claymore. Known as "The Wolf," his very name strikes terror in the hearts of his enemies. But proud Jennifer will have nothing to do with this man who holds her captive, this handsome rogue who taunts her with his blazing arrogance. Boldly she challenges his will...until the night he takes her in his powerful embrace, awakening in her an irresistible hunger. And suddenly Jennifer finds herself ensnared in a bewildering web...a seductive, dangerous trap of pride, passion, loyalty...and overwheming love. Characters are wonderfully fleshed and out and complex for this genre type. Jennifer is bold and daring, loyal and open-hearted. 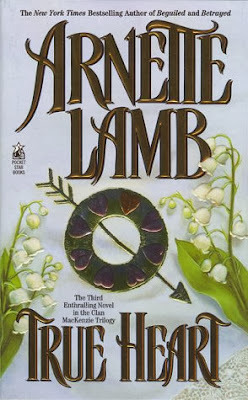 She's not so steel-spined that she's unrealistic, and I enjoyed being in her head for this storyline after I got over her annoying loyalty to a clan that didn't necessarily deserve it. The "hero" Royce was likable enough, even if I wanted to throttle him sometimes for his stubbornness. I enjoyed the small gang that accompanied everyone, from the brother-mother-drama to the loyal compadres standing by the side. Without the side characters, Kingdom of Dreams wouldn't have fared nearly as well. Instead of a simple let's mesh them together and mold them into a romantic couple, the storyline holds layers to keep it interesting and more complex than the norm. Besides family drama on the side of the hero, there is the background of cruelty Jennifer faced and why she ended up in this situation in the first place. 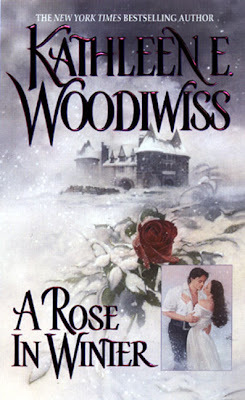 Most historical romances stand above the rest if they have humor, which this one introduced through fun dialogue and banter between the mains and others. Sure there's some cheesy stuff, but the genuine chemistry between the two keeps the flames smoldering enough to overlook that. 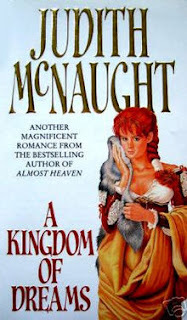 If you're a fan of Historical Romance, you should dig this once since it stays interesting through the storyline, holds up the pacing, has sarcastic and humorous main characters who feel genuine enough to carry their story, complimentary side characters, a castle (yays) and satisfying ending. Look forward to checking out more of this author. "Some women need no jewels to make them sparkle. You are one of them."